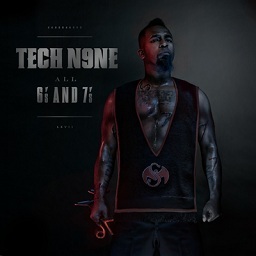 The staggering success of Tech N9ne’s All 6’s And 7’s has proven to be much more significant than originally thought. Huge sales of the album not only stand as a symbol of Tech’s talents, but also for independent music everywhere. As a proud independent musician, Tech N9ne is changing the way the industry works by conquering Billboard without the help of the majors. It’s not surprising then to see some of Tech’s independent peers congratulating him on the big break. Suburban Noize Records’ Potluck and Psychopathic Records’ Twiztid have both given Tech respect over Twitter. Knowing all about independent music, Potluck and Twiztid can obviously appreciate the hard work that it takes to do what All 6’s And 7’s is about to accomplish. Tech N9ne may be having the biggest two weeks of his career, but in the end, it’s independent music that really wins.